Riding on unfathomable volumes of industrial expertise, we are providing a broad array of Orissa Pan. Owing to the efforts of our skilled professionals, we have been constantly engaged in offering a qualitative assortment of Squatting Pans. In order to fulfill the demands of our esteemed clients, we are engaged in providing an optimum quality array of Deluxe Orissa Pan. 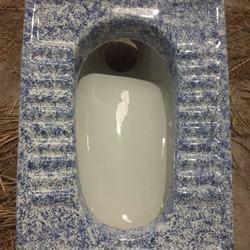 We are offering a wide range of Ceramic Toilets that are fabricated from high grade quality raw materials. 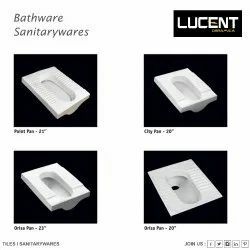 These toilets can be customized as per our customers specifications and it can be availed at market leading prices from us. The range is available in different designs, colors, patterns, sizes and shapes.